Sarah Hollis never planned on coming to SIU, but now, she and SIU are certainly glad she did. Her parents are SIU alumni, and the Battletown, Ky., native was eventually persuaded to come to Carbondale. Sarah has spent 3 ½ years as a student caller with the SIU Foundation. During that time, she raised about $65,000 through 750 donations. 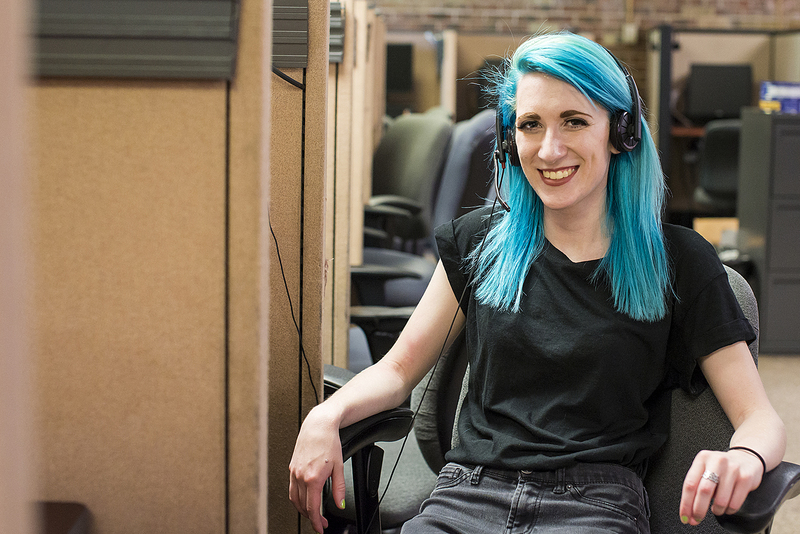 “It made me a more social person,” she said about her time as a student caller. Graduating this spring with a degree in foreign language and international trade punctuated a fulfilling Saluki experience for Sarah. Active in student government, she served as co-chair of the Internal Affairs Committee for two years, worked with the Naming Committee and serves as a senator for the College of Liberal Arts and West Campus. She has also spent time studying abroad in Beijing and Taiwan. While in Beijing, Sarah was a participant in the U.S.-China Student Summit and served as SIU’s student representative at the Beijing International College Fair. During her time in Taiwan, she gained important work and life experience through an internship with INTAI Technology Corporation and Sun Chun Stainless Co. Ltd. Locally, Sarah has volunteered at the Local Organic Garden Initiative of Carbondale. Whether traveling to a foreign country to calling potential donors, Sarah said her experiences have given her a positive outlook. 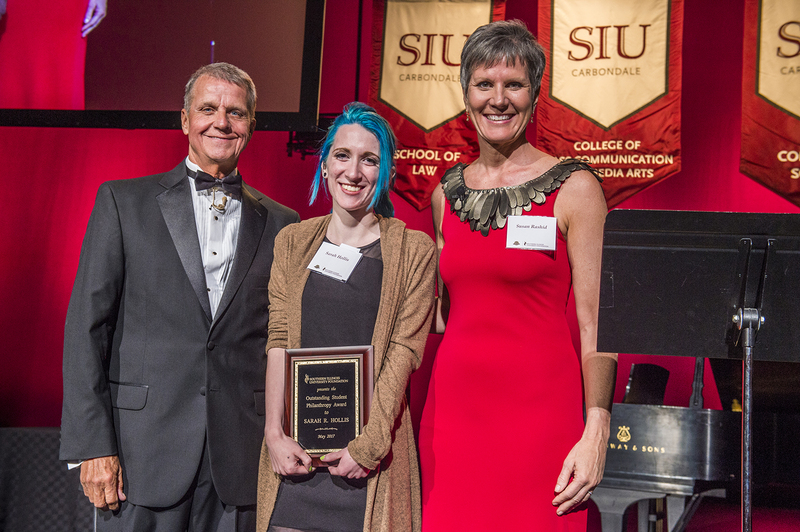 Sarah Hollis is the first recipient of the SIU Foundation’s Outstanding Student Philanthropy Award. Roger Tedrick, SIU Foundation board president, and Susan Rashid, SIU Foundation board president-elect, presented Hollis with this award at the SIU Foundation 75th Anniversary Celebration on May 6, 2017.